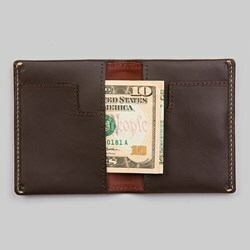 "Life's too short to be weighed down by your wallet". That's the philosophy behind Bellroy. 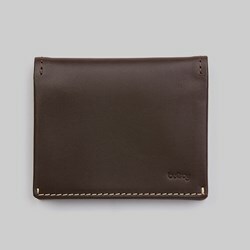 This unique line of men's accessories is designed to help you slim your wallet and stay organised, as well as complementing your life and style. Bellroy wallets incorporate many creative innovations to make them more compact in size than traditional wallets, while remaining every bit as useful. Pull tabs make retrieving credit cards quick and easy, while hidden cash pockets keep you safe while on the go. Only the finest genuine cowhide leathers go into the construction of the Bellroy's designs, these are then carefully vegetable dyed to ensure that they age handsomely to stand the test of time. In addition, Bellroy is a brand committed to helping to protect the environment, so that future generations have wild, unspoilt wilderness to explore. All of this means that Bellroy products have a luxurious appearance, whilst also being functional and delightful to use. With Bellroy, you can travel lighter, slimmer, and smarter, without compromising on style.